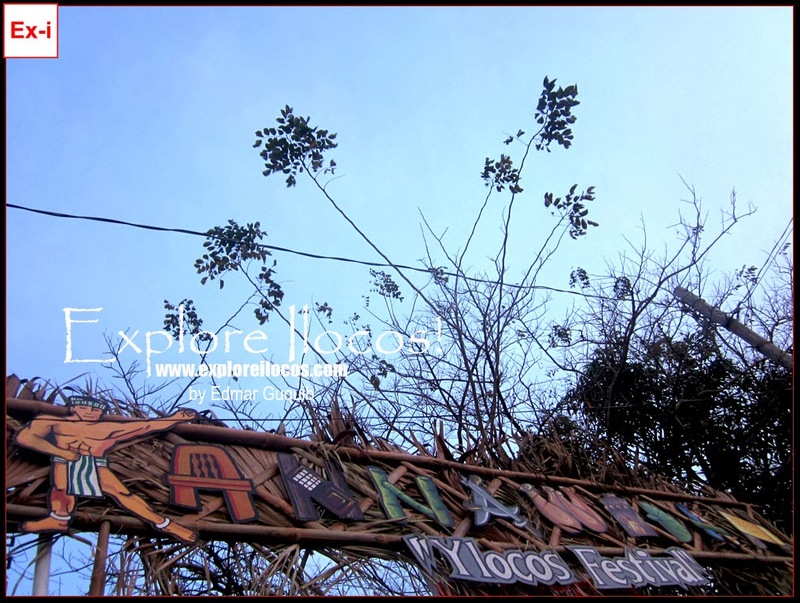 BANTAY, ILOCOS SUR ▬ The core of the Kannawidan Ylocos Festival is at the Quirino Stadium in Bantay. Most of the activities of this week-long event happens here. Nightly, there are surprises and big events offered to the Ilocanos. Today, I went to Quirino Stadium to see what's happening and the following are what I've found. Govantes Dike road closed: When I visited the stadium a while back, I noticed that the Vigan-Bantay Road traversing the Govantes Dike is closed. I used the entrance of the stadium situated along the Vigan-Bantay road because the other entry point located along Quirino Blvd was traffic-jammed. Kannawidan Entrance Gate: A nifty festival arch welcomes every visitor to Quirino Stadium where most of the activities and showcases are happening and located. Building-up of crowd: Outside the Quirino Stadium, there was no crowd. The time was 5 PM. Usually, a thick influx of visitor comes after the sunset. However, the crowd build-up this time is going on a fast pace. Kannawidan Open Stage: The stage where big events are held was built inside the stadium fronting the bleachers of the south. OTOP Trade Fair: Different local products like the ube wine coming from as far as Benguet and of course from the different municipalities of Ilocos Sur found their space here. There is also an area wherein you can try the different local cuisines.